Do you love to worship through song but struggle with traditional church worship or services? 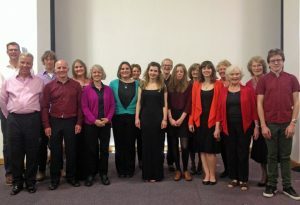 Uplyme Gospel Singers is a group that love to sing. It is made up of people new to the Christian Faith, those open to God, and people who have been followers of Jesus all their lives. The Gospel Singers gather every other week to sing songs of faith and devotion. They seek to bless the wider community through song and have sung at weddings, sea-front celebrations, concerts and rest homes. 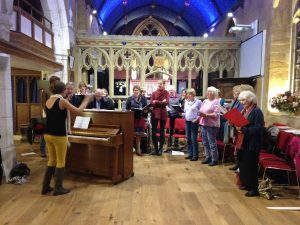 Uplyme Gospel Singers meet at the church 7:30pm-9pm on Tuesdays during term time. If you are interested on joining please call us or the church office (01297 444499), join our Facebook group or sign up to our mailing list in the side-panel.